Netflix has released the trailer for the upcoming documentary Grass Is Greener, launching on April 20. The documentary, directed and narrated by hip-hop legend Fab 5 Freddy, explores America’s complicated relationship with weed. The trailer sees Fab 5 Freddy introducing himself as a longtime cannabis advocate and highlighting that the history of cannabis in America has long been tied to the history of music in America. The promo also features Snoop Dogg talking about the era before him and about his mission, which “was to get everybody hooked on chronic”. While some voices point out that psychiatrist and sociologists knew there was nothing wrong with weed, others describe it as “probably the most dangerous drug in the United States”. 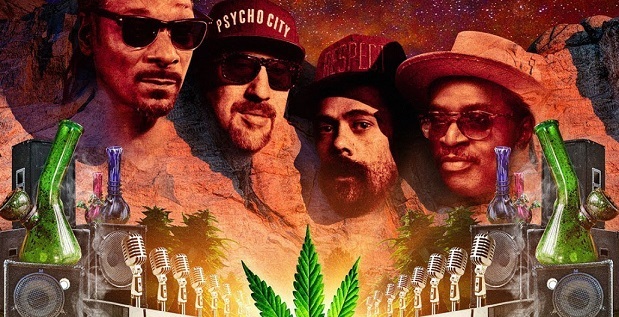 The documentary also features Darryl “DMC” McDaniels, Damian Marley, Killer Mike, Cypress Hill’s B-Real and Sen Dog, DMC, Chuck D, and Doug E. Fresh discussing the ways in which marijuana has been a means of racial profiling in the US and elsewhere for years.